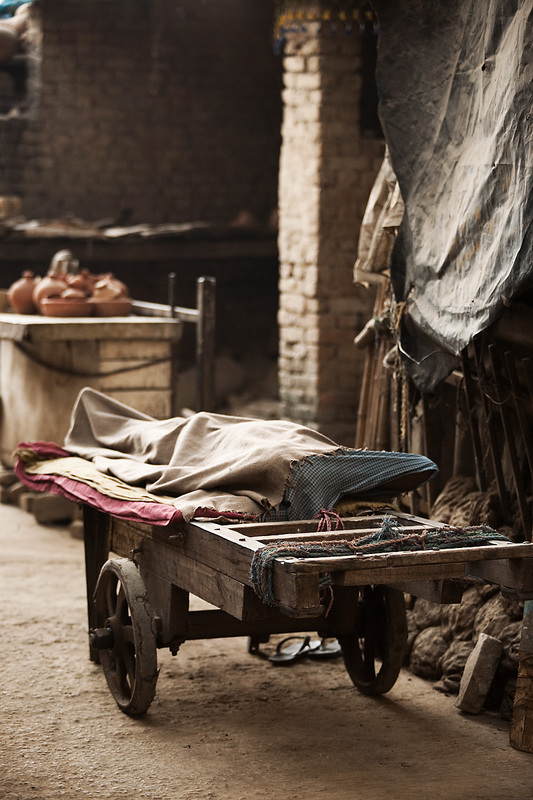 A homeless day-laborer sleeps on his cart/makeshift bed. A walk at 6AM uncovers many blanketed lumps of sleepers on Delhi's streets. Earning a daily wage of US $2-$4 per day, common laborers without family assistance in Delhi are unable to afford the luxury of housing. 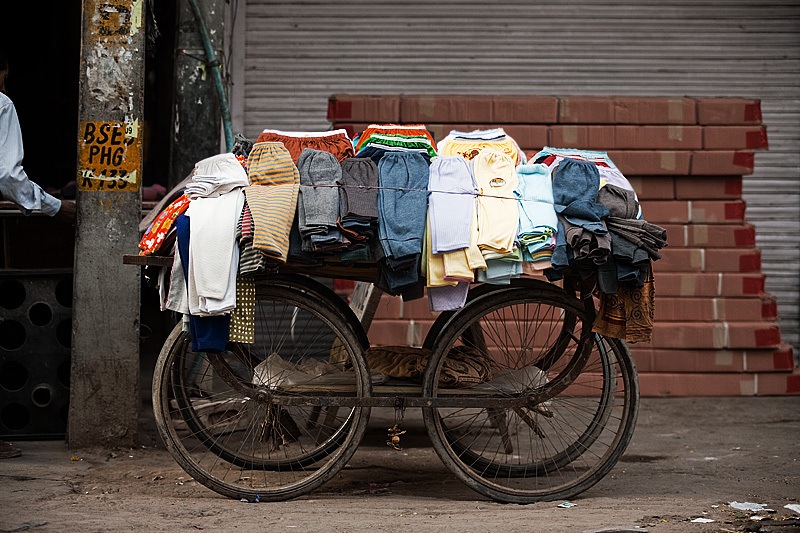 An underwear seller displays his wares on a rickety cart. Carts like these are seen all over India and are used to short-haul any imaginable item from car parts to mutton feet. More often than not, owners convert these carts into moving kitchens that offer the common man's culinary delight such as pani puri, a liquid-filled, bite-sized, crusty snack. 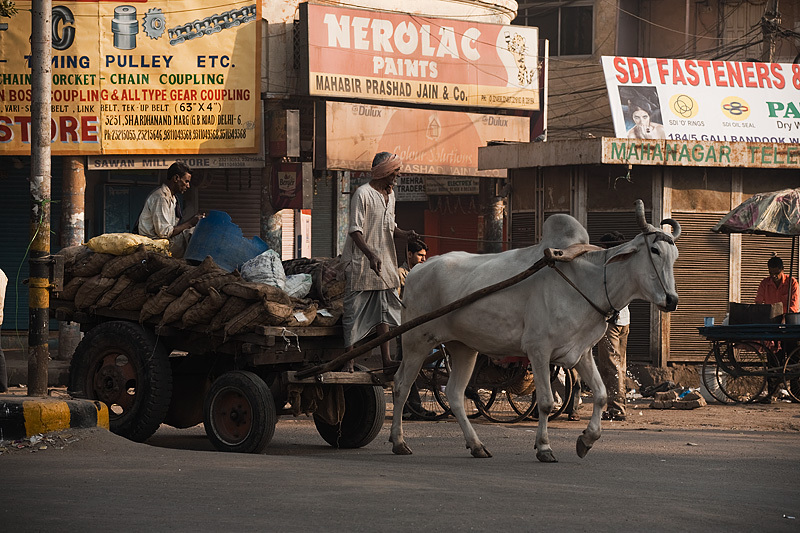 A bullock cart hauls durable goods in old Delhi. Thanks Scott! At first, I thought you were a spider when you commented a few days ago. Luckily I didn't delete those comments.